I’ve owned at least 25 vintage Airstreams, seen literally at least a thousand, and I have NEVER seen one in this level of IMPECCABLE condition!! This is a California stored vintage trailer that was literally NEVER used. The exceptional condition says it all. 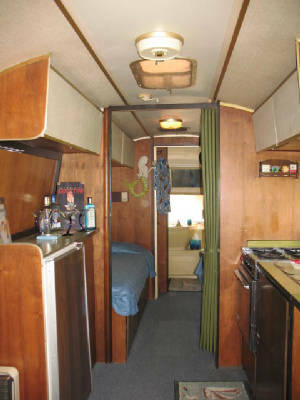 The mahogany wood, appliances and even the upholstery look like it just rolled out of the Airstream factory in 1969. Yes, the exterior clear coat is peeling off the perfect body. But we’ll cure that by INCLUDING in the price a $5,200 polish job. It will gleam like a “new penny” when it finds its new home.